I will never forget the faces I have met, the lessons I have learned, or the amount of love I have witnessed. "Tiara's warm smile, her contagious laugh, and her beaming personality brighten up any room. Her resilience, her confidence, and her faith are truly inspiring. 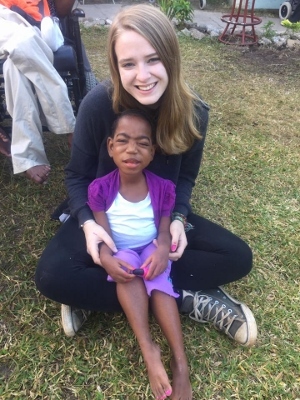 I'm blessed to have had the opportunity to meet such a strong young girl; she makes me want to be a better person in spite of my own hardships, just as she is able to push through her own."